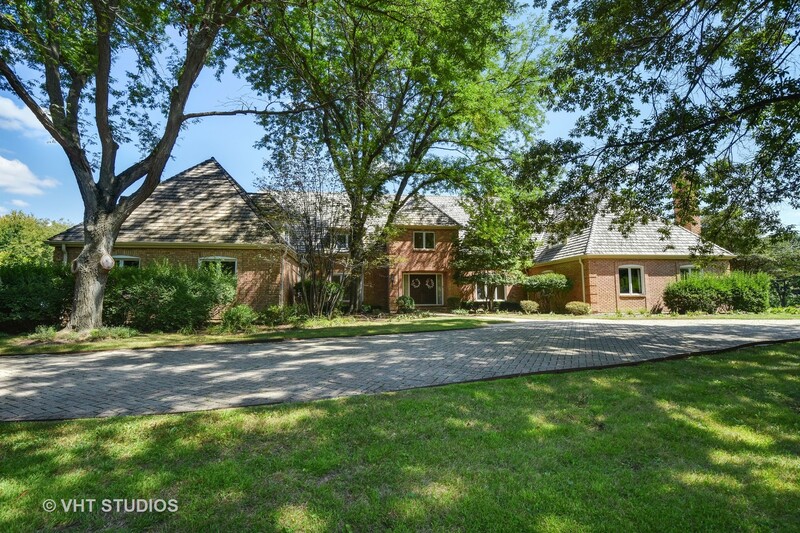 Gracious Barrington Hills brick estate on 5 rolling and wooded acres. Interior of home is filled with light creating vibrant spaces throughout. Expansive rooms include living room with fireplace and wall of windows overlooking the patio and grounds. Beautiful remodeled kitchen features custom cabinetry, granite counters, center island, breakfast bar & Sub Zero, Thermador & Fisher Paykal stainless steel appliances. Large family room with fireplace and wet bar flows from the kitchen. Generous sized dining room / sunroom with lots of windows brings the outdoors in. Rare first floor library / office features fireplace and built-in shelving. Spacious first floor master suite includes remodeled luxury bath with jetted tub, separate shower, dual sinks and walk-in closets. Other bedroom are spacious with private or nearby baths. Huge bonus room with private bath could be additional bedroom. Live the Barrington Hills lifestyle in the elegant home!